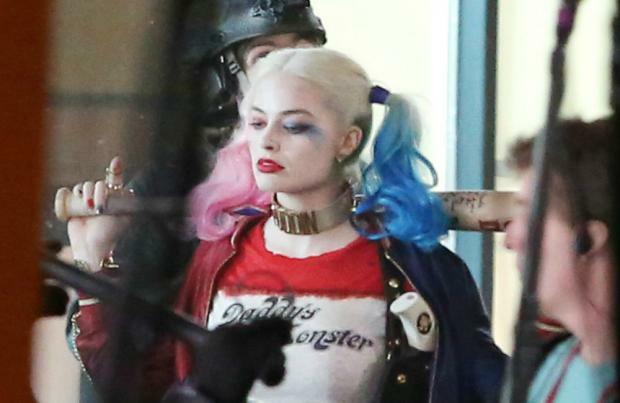 Margot Robbie hopes she can continue playing Harley Quinn in the DC Extended Universe. The 27-year-old actress starred as The Joker's girlfriend in 'Suicide Squad' - which was helmed by David Ayer - back in 2016 and is set to reprise the role in the upcoming sequel and 'Gotham City Sirens'. Margot hopes that she can follow up those two movies with more outings as the "insane" villain. Speaking to Variety, Robbie said: "It's so weird when people want to know about you because you're like, wait, my whole job is not being me. Me? I don't know, I'm boring. "But, like, these characters are amazing, ask about them. Harley's one of those insane characters and people do seem to really like her, so I hope I get to keep playing her." Robbie also revealed she only signed on to do the supervillain movie because she loved 'End of Watch' - which was directed by Ayer - and admitted to seeing it "four times at the cinema". She said: "The reason I signed on for 'Suicide Squad' was because I love 'End of Watch so much and I saw it about four times at the cinema." 'Suicide Squad' follows a group of highly dangerous incarcerated supervillains who are used as a black ops group top protect the US from extreme threats. Harley is joined in the team by Deadshot (Will Smith), Captain Boomerang (Jai Courtney), Killer Croc (Adewale Akinnuoye-Agbaje) and El Diablo (Jay Hernandez) who must work together to stop Enchantress (Cara Delevingne) from conquering the world. Although a sequel is in the works, Ayer stepped away from the movie to focus on 'Gotham City Sirens' with Gavin O'Connor, 53, stepping up to the job of helming the DCEU sequel. Mel Gibson was previously linked with the vacant director's chair, but has quashed the speculation. Other filmmakers in the running to helm the sequel included Jonathan Levine, Daniel Espinosa and Ruben Fleischer, who has since took over directing 'Venom' for Sony Pictures.